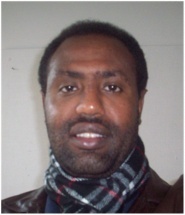 PhD student, Hadsh Tesfa Gebreab, will hold his mid-term seminar on the 28th of August, at 13.00 - 15.30 in the Thor Larsen Ettic, Tivoli Building. Hadsh Tesfa Gebreab will hold his mid-term seminar on the 28th of August. Main advisors: Erling Berge, ILP, and Espens Sjaastad, Noragric. External commentator: Professor emeritus Hans Mattsson, Department of Real Estate and Construction Management, KTH, Stockholm.